All individuals need the right tools and work environment to effectively perform their jobs. Similarly, Persons with Disabilities (PwD) also need training, workplace adjustments â€” or accommodations â€” to maximize their productivity. In the Indian context, training of PwD has traditionally formed a socially excluded minority. The problems associated with social exclusion are many and complex. The resolution Of these problems is challenging and requires imaginative and multifaceted actions. Both access and outcome is possible by removing barriers to social inclusion. In addition to allowing for positive action measures, mainstreaming must also recognize the diversity between PwD, and the need for an individualized approach to meet their vocational training needs. 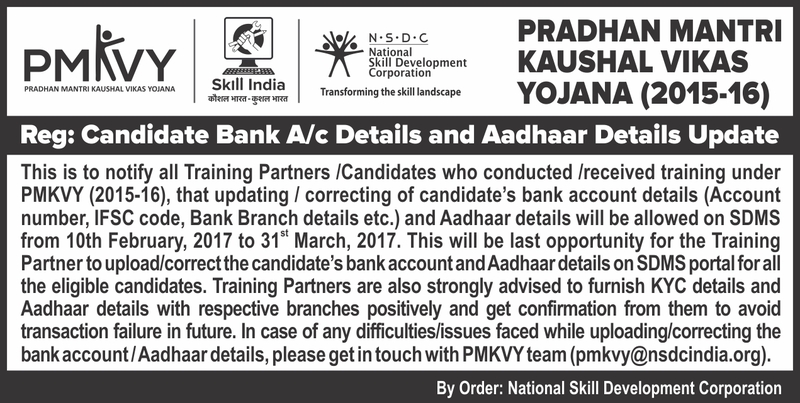 The Skill Council for Persons with Disabilities, since its inception in October 2015, has been working on mobilizing training partners towards fulfilling the skill initiative of PwD under the PMKVY scheme. 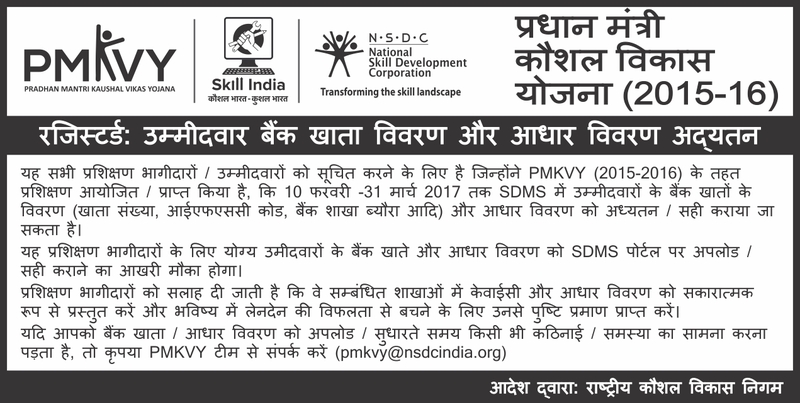 SCPwD is a horizontal Skill Council (SC) that will appropriately select suitable job roles or Qualification Pack (QP) of SSCs and adopt their entire Qualification Packs. SCPwD will append an Expository, which is an addendum to the QP of the domain sector - detailing information regarding diverse training needs and methodologoies which need to be adopted to train for various disabilities. Training providers will use this Expository to develop curriculum and align it with the respective QP.